The 2GIG GNGRD1-345 is a sensor that doubles as both a trigger lock for a gun and as a movement detector. The device prevents someone from pulling the trigger on your weapon unless it is unlocked using a specific 3-digit code. Purchase the 2GIG GNGRD1-345 Gun Motion Detector here. For gun owners, the 2GIG GNGRD1-345 is an important safety device that is very useful to keep around. The sensor alerts the alarm system whenever the weapon is tampered with or moved. It also serves as a trigger lock to prevent the weapon from being used. A 3-digit code is needed to unlock. Many gun-owning families have legitimate concerns about their children getting into their guns. The 2GIG GNHRD1-345 provides an effective solution to this concern by sending an alert to the alarm control panel whenever the weapon is moved. The module is placed around the trigger, and it effectively prevents the gun from being fired unless it is first unlocked. This makes it a great safety mechanism for nearly any gun owner. As a sensor, the 2GIG GNGRD1-345 operates at the same 345 MHz signal used with most other 2GIG security sensors, It will communicate successfully with nearly any 2GIG Security System, including the GC3, GC3e, GC2 and GC2e. It can also be used with the Honeywell Lyric Controller. 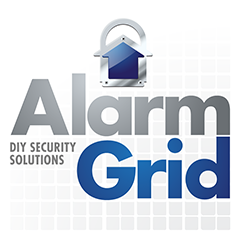 Depending on its programming settings, the 2GIG GNGRD1-345 can be set to activate a trouble condition or trigger an immediate system alarm. The GNGRD1-345 measures in at 2.7" x 2.3" x 1.4", and it weights 7.4oz (210g). It uses a single CR2032 coin battery for power.